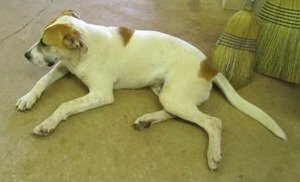 On May 23, CatTime.com and DogTime.com reported on a Macon County, Ga., shelter where 77 dogs and 11 cats faced euthanasia if they were not adopted or rescued before a June 7 deadline. The facility, plagued by insect and rodent infestation, was to undergo fumigation. Approximately 90 dogs and cats were adopted from the shelter before the June 7 deadline. Thanks to a focused effort by the community and an animal-rights group, Save A Pet, all cats and dogs found homes before the building had to be vacated. The fumigation date was in fact pushed up by a day, as all the animals exited the facility on June 5. All but five of the dogs were adopted before the deadline; Save A Pet took those remaining animals — three of which were adopted. Even if efforts are ultimately unsuccessful to evict unwanted pests from the current Macon Animal Control Shelter, facility workers are looking forward to a new building, which is currently in the planning stage — thanks to a $3 million special-purpose local-option sales tax (SPLOST), which was approved in November by voters. The current building, built on landfill, is adjacent to a city dump.